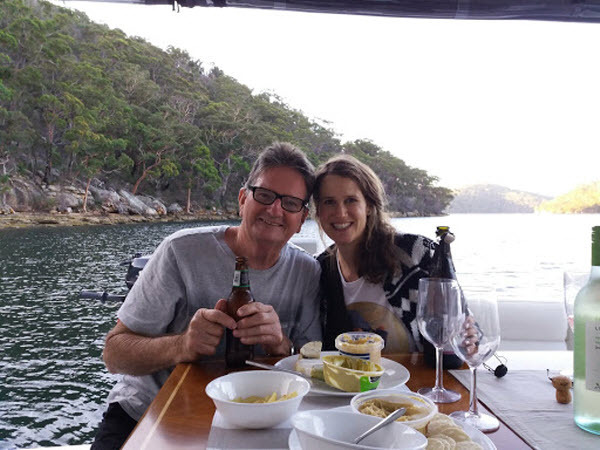 Barry and Alice have been owners of ‘Kiama’, an Integrity 380 Boat Share, since the syndicate was launched in January 2018, but they actually started using Kiama in November/December 2017 when the boat first arrived in Pittwater. 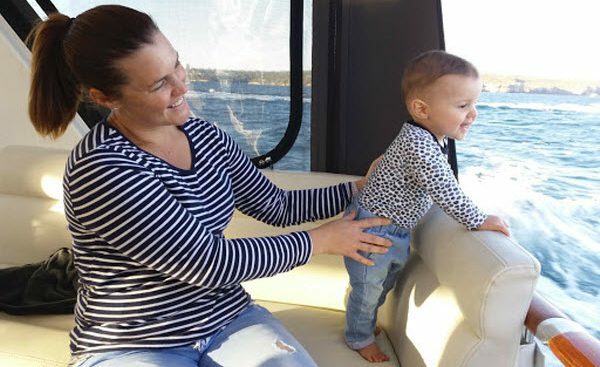 We recently caught up with Barry and Alice at SMART Boating’s Clontarf Marina, where they had sailed Kiama down to meet their daughter and granddaughter and spend a few days together as a family on Sydney Harbour. 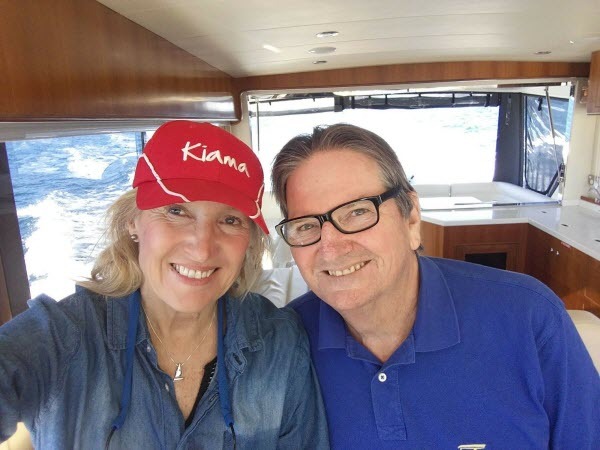 Originally from the Netherlands, Alice is an accomplished sailor, so we were curious to discover why she and Barry had decided to invest in an Integrity 380 Boat Share instead of a yacht. 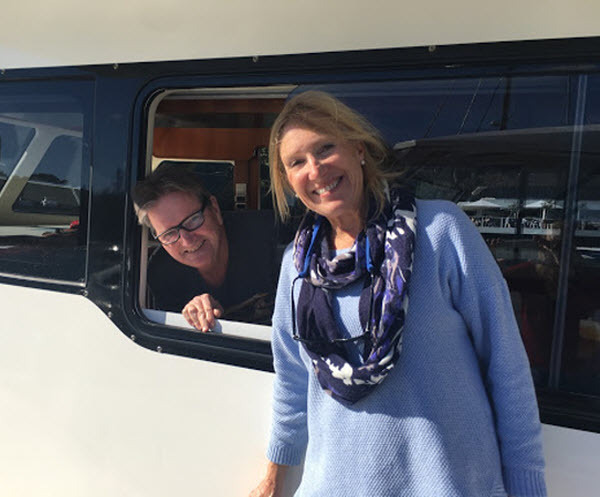 “A friend of ours worked at SMART Boating years ago, so we knew all about the advantages of becoming a SMART Boating syndicate owner, but had already decided we were going to buy our own boat,” says Alice. “We were actually thinking about a purchasing a yacht because I love sailing but as we were walking past the SMART Boating office we popped in and decided to look at some brochures. We owned a boat before but we didn't use it! “We owned a yacht before and because it was on a swing mooring we had to row out to it and row back. If we were taking out friends or family for the day we had to get down to the boat ahead of time and get it ready before we rowed back to collect our guests and bring them on board. If there was bad weather we always had to go and check our yacht was okay on the swing mooring. Several times we were away in our caravan when a storm hit and we had to ask friends who lived nearby to go and check the boat for us. There was always something that needed fixing or cleaning on it and it was very expensive. With SMART Boating we don’t have to worry anymore … we know our boat is always safe on the marina. “Another important reason why we were attracted to boat syndication is because we have other interests we also like to pursue. Barry plays golf and I enjoy sailing on a Laser sailing boat we also own. We also have a caravan and love to get away on the road for weeks at a time. And because we have 34 allocated days a year we no longer feel we have to be on our boat all the time to justify to cost of the boat. We can relax and enjoy our other interests without feeling guilty! 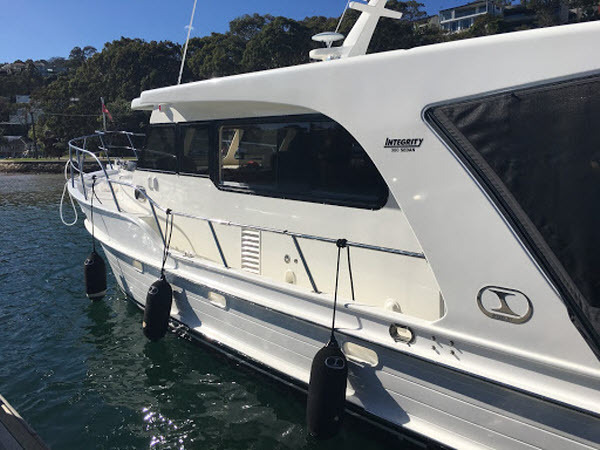 “We are just so happy with the Integrity 380, it’s such a lovely boat. 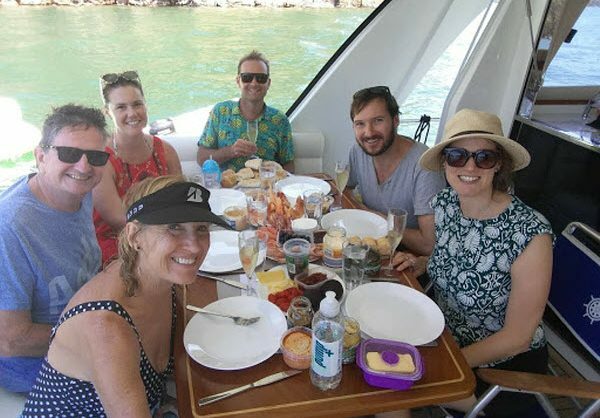 We really enjoy going to Towlers Bay, having lunch and going for a swim – and our other favourite spots are Yeomans Bay, Jerusalem Bay and Americas Bay. We’ve even sailed it down from Pittwater to Clontarf and enjoyed exploring Middle Harbour. “All of the staff are so friendly and helpful … nothing is ever a problem. The Integrity is so easy to get in and out of its mooring with its bow and stern thrusters but if we ever need help with tying the line the SMART Boating staff are always there to help you if you need it. There’s no worry about unexpected maintenance costs and the walk on/walk off aspect of the syndication is way better than we ever thought. This is a great investment in lifestyle and peace of mind. You’re not trapped with SMART Boating, you have the freedom to sell your share at any time and you have the freedom of not being tied to your boat every weekend.